High Gain, high definition and perfect pixel reproduction. 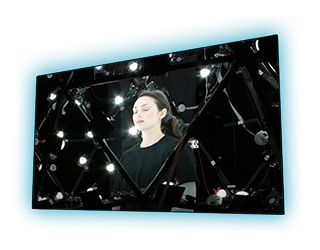 The EluneVision PureBright 4K 300 material provides the high reflectivity, gain, and all of the advantages of a traditional glass beaded surface, without any of the drawbacks – the screen has virtually no texturing, allowing the highest gain of all screen surfaces with no the loss of resolution for both 1080p and future 4K resolutions. Additionally, the fact that it is not glass-beaded means that the surface can be cleaned when necessary. Revel in the sharpest video experience available in the market by projecting your content onto a screen that remains the measuring bar all others compete against. When projecting image and video, every little bump and detail of the screen will show, effectively decreasing image resolution and sharpness. 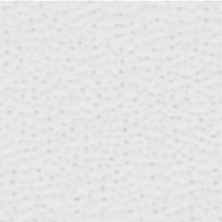 We’ve dedicated years of research to develop a screen material that boasts a super-smooth micro texture that’s virtually invisible. The texture of the Reference Studio material is so fine that the image remains sharp with near perfect pixel accuracy with the latest 4K projectors. We believe everyone deserves to enjoy an amazing screen. The Reference 4K was designed with that in mind: unparalleled performance at an affordable price. 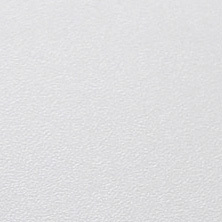 Its smooth surface texture is only equivalent to other products significantly higher in price. With a zero-texture surface that good, it’s no wonder your content streams in bright colors with heightened contrast levels. Enjoy your movies as they were meant to be seen! Imagine a perfect canvas in where you can paint your every dream. 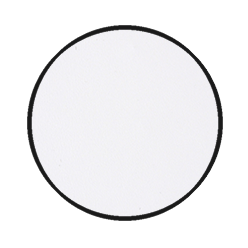 That’s what our Reference Studio PureBright 4K 3.0 white gain material is like. 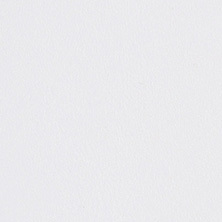 With this perfect base, your colors appear brighter and more vivid than with regular screens. 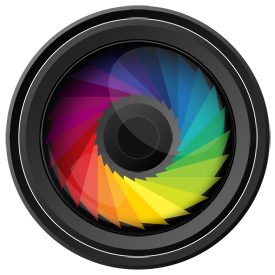 The neutral color balance means no color shifting, that is, the color you see on the screen will be identical to the source. 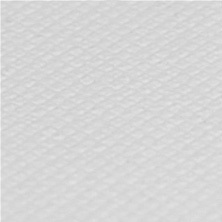 The lack of texture leaves pixel geometry perfectly intact with our material. Why is this important? With 1080p projectors now standard, EluneVision’s Reference Studio 4K material ensures that the effective resolution remains at 1080p, while other (more expensive) competitors degrade the pixel geometry to the point that the effective resolution is no longer even close to 1080p. 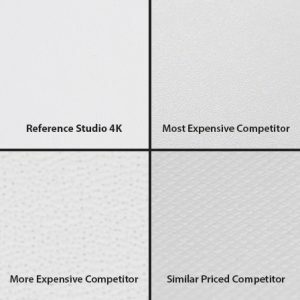 Also due to the fact that there is zero texturing and perfect preservation of detail clarity, the Reference Studio 4K material will perfectly resolve 4K resolution in both today’s high end and future 4K projectors, saving you a screen upgrade. 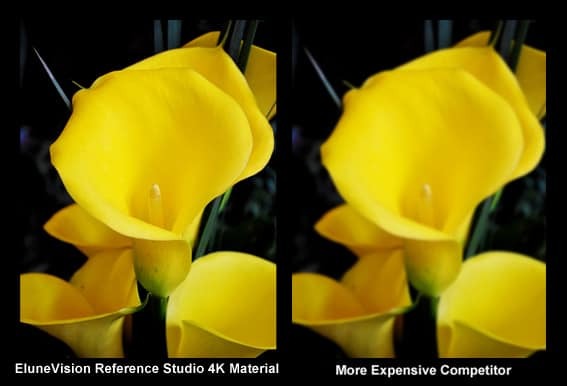 To illustrate this point, see the images below, showing our Reference Studio 4K 100 material beside Stewart’s (widely considered the gold standard, but a much higher cost), as well as two other more expensive competitors. Due to the use of a smooth and near perfect Lambertian diffuser material, our screen has absolutely no sparkles. The material was purposely engineered to disperse the light evenly in a hemispherical distribution, creating a perfect reproduction, as the director intended. The Reference Studio 4K 100 material will easily pass any of the common sparkle tests, which include fast action bright scenes in movies as well as hockey, football, and other sports. 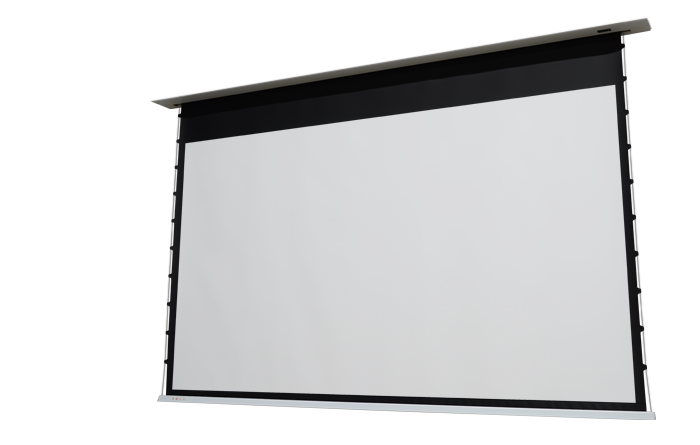 This means that viewer will always see the image displayed on the screen as the projector manufacturer intended, and will never see the annoying imperfections present on competitors’ screen materials. 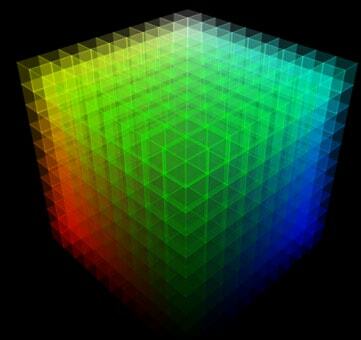 When an image’s pixel pattern does not match that of the textured surface it is displayed on, moire is created. 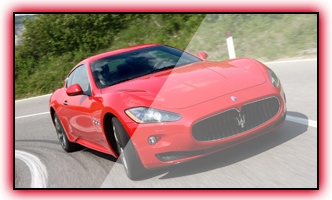 The mismatch causes a wavy, non-uniform, interference pattern which degrades projected image quality and uniformity. To the left is an example of how moire can impact picture quality. When you zoom in, you see that the competitor’s screen creates moire on the woman’s dress, causing artifacts patterns that are not supposed to be on the image. Furthermore, the moire pattern also causes discoloration, as green hues are introduced on what is supposed to be a completely blue dress in the competitor’s image. Reference Studio 4K 100 material provides perfect white field uniformity due to the material’s Lambertian diffuser nature. The brightness will be even across the entire screen and there will not be areas of the screen which are brighter or dark to the viewer at any viewing angle. 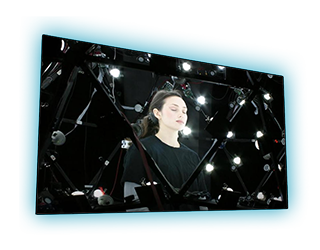 When projecting a pure white scene, the white level will be even from edge to edge, with absolutely no hot-spotting or texturing , demonstrating a reference level of performance and image quality. EluneVision’s new Reference Studio 4K 100 material is designed specifically to achieve the highest level of color reproduction. To achieve this, the material is designed for a completely neutral color reproduction. The Lambertian diffuser property, in addition to a specially designed white base color, maintains color accuracy across the entire color gamut. 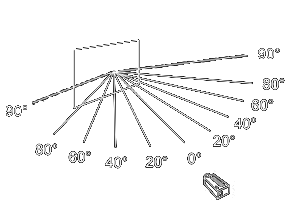 Many other projection materials in the market today will exhibit a shift in hue, either to the blue, green or red. This creates an unnatural balance to the colors and will decrease the color uniformity and vibrancy. Above, we see a demonstration of this phenomenon. The top zoom-in shows the competitor’s screen versus our EluneVision Reference Studio 4K 100 screen material. Note the color shifts that the competitor exhibits, as well as the minimization color shifts of the EluneVision Reference Studio 4K 100 material. This results in the color accuracy of the whites and the reds you see in the EluneVision Reference Studio 4K 100 screen material image.